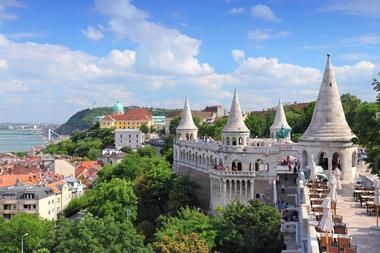 Most people consider summer the best time to visit Budapest. This is the season when the weather is the warmest. This is also the wettest and the busiest season. Most schools are on break and many families visit Budapest - it can be crowded with lines at attractions; and hotels raise their room rates. The winter season varies between chilly and cold, but there are great hotel deals at this time. Spring between March and May is a good time to visit Budapest: the weather is comfortable; there are no crowds; and room rates are reasonable. This is also true of the fall months between September and November. January tops the charts as Budapest’s coldest month of the year. The average high temperatures don’t get any higher than a frigid 34°F (1°C). The low temperature average, on the other hand, is a bone-chilling 27°F (-3°C). In February, the days stay rather dry despite the winter season as Budapest experiences its lowest precipitation rate of the year at 30mm. The climate gets ever so slightly warmer but remains very cold at 39°F (4°C) for the average high temperature and 28°F (-2°C) for the average low. Budapest Weather in March: The climate makes a steep increase upward in March as the average high temperature shoots up to 50°F (10°C). The low temperature is 36°F (2°C). April receives about 40mm of rain over the course of 13 days as spring goes into full swing. The high temperature average and low temperature average ranges between 59°F (15°C) and 43°F (6°C). In May, high temperatures increase further to 70°F (21°C). Similarly, the average low temperature rises nearly 10 degrees to 52°F (11°C). Budapest Weather in June: It’s a relatively wet month in June as Budapest receives an average precipitation rate of 60mm over the span of 12 days. Meanwhile, the average high temperature climbs to 75°F (24°C) while the average low temperature rises to 57°F (14°C). July is Budapest’s hottest month of the year as the average high temperature peaks at 79°F (26°C) and the average low temperature climbs to 61°F (16°C). Congruently, July has the highest average of sunshine as each day of the month receives about 14 hours of sunlight. In August, the high temperature averages remain the same. However, the average low temperatures decrease slightly to 59°F (15°C). This month has the highest precipitation average of the year at 70mm of rainfall received over 10 days. Budapest Weather in September: The climate starts to cool in September as the average high temperature decreases to 72°F (22°C). The low temperature average goes down to 54°F (12°C). October sees another decrease in both the average high and average low temperatures, which measure in at 61°F (16°C) and 45°F (7°C) respectively. In November, the precipitation rate is 60mm. The average high temperature sinks rapidly to 45°F (7°C) alongside the average low temperature which goes down to 36°F (2°C). December has the least amount of sunshine of the year at 7 hours per day and sees the third coldest temperature of the year. The average high temperature peaks at 37°F (3°C) while the average low temperature decreases to 30°F (-1°C). Visiting Budapest on a budget? The best time to visit is during the spring months of March through May as flights and accommodations are generally much cheaper during this time of the year. If you want to experience the most festivals possible in Budapest, plan your visit anytime between June through August for events like the Czech Beer Festival, the Danube Carnival and the Sziget Festival. Want to avoid the crowds? Come to Budapest in October as this is when most of the summer crowds have gone home. Those who are after the beautiful sight of Budapest covered in a blanket of snow, however, must certainly come in January. Budapest’s airport is called the Budapest Ferenc Liszt International Airport. It is divided into two airports: Ferihegy 1 Airport is used by budget airlines and the adjacent Ferihegy 2 Airport is used by traditional non-budget airlines. The two airports are only about one block from each other. Train travel is an excellent way to get around Europe. Trains arrive in Budapest from Vienna and other major European cities every day. 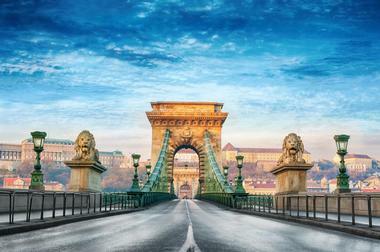 Arriving by car is made easy with eight motorways that converge in Budapest. Volanbusz Rt. is the name of the bus company that transports passengers to Budapest’s Negliget Bus Station from international destinations. 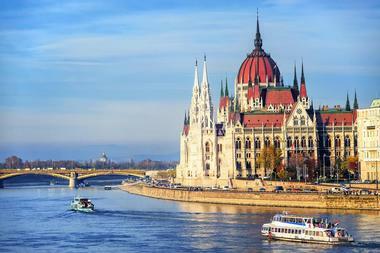 During the summer you can arrive in Budapest from Vienna by boat on the Danube River. There are several ways to get from the Budapest Ferenc Liszt International Airport into Budapest’s center city. The Budapest Airport Authority owns the Airport Shuttle: there are kiosks in the airport terminals where you can buy a one way ticket or a roundtrip ticket. The shuttle is a shared service and takes passengers directly to their hotels. Public buses leave from both airports and take passengers into the city. Trains only stop at the Ferihegy 1 Airport and the terminus is Budapest’s Nyugati Train Station. At one time taxis were notorious for scamming visitors, but the Budapest Airport Authority corrected this and has a contract with just one taxi company called Zona Taxi, another transportation option into the city. Budapest has an excellent public transportation system called BKV. It is made up of the underground trains (the Metro), above ground suburban trains, trams, trolleybuses, and buses. You must buy tickets before you board any of the modes of Budapest’s transportation system. Single tickets are valid on all routes including the Cogwheel Railway but not on suburban trains that go beyond the city boundary. In addition to single tickets, there are passes available. There are three Metro lines which converge at the Deak ter Station: Metro trains run every two minutes during rush hour and every 15 minutes at other times. Buses, trams, and trolleybuses cover areas that are not serviced by the Metro. Budapest has an extensive public transportation system, but there are several other ways to get around this beautiful and fascinating city. Driving a car is not your best option considering the extensive public transportation system; not only this but driving in Budapest can be a challenging and stressful experience. There are many taxis in the city and you can use this option if you can’t get to or from somewhere on public transportation. Only use legitimate taxis: they have yellow license plates. The main attractions of Budapest are, for the most part, not spread apart, so one of the best ways to see the city is on foot. A map comes in handy when you’re exploring Budapest on foot. 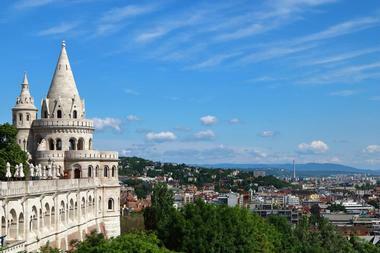 Budapest is full of restaurants that serve both traditional fare and new Hungarian cuisine. There are also many restaurants that serve ethnic cuisine. Eateries are classified as etterems which range from first class restaurants to cafeterias; a vendeglo is an inn or guesthouse that is intimate and serves traditional Hungarian food. An onkiszolgalo is a self-service cafeteria while a bufes is a snack counter and not a buffet! A cukraszda is bakery that serves coffee and pastries and a kavehaz is a coffeehouse that sells just a few pastries. Many restaurants advertise live gypsy music but many of these music groups are not authentic. If you want to hear the real thing, try the restaurant called Matyas Pince. The shopping scene in Budapest is keeping up with other major European cities: designer shops like Gucci and Louis Vuitton along with brand names like Nike have opened stores in Budapest. 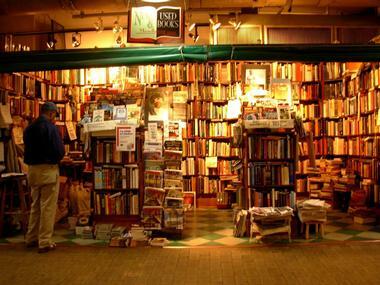 There are also many trendy secondhand stores in the city. Although there are huge department stores, there are still small shops and boutiques that can be found in the city: these are fun and worth exploring. If you are interested in shopping for traditional Hungarian handmade products, check out the second floor of the Nagyvasarcsrnok, or Great Market. Here you’ll find an amazing assortment of gifts and souvenirs such as embroidered tablecloths, painted and carved eggs, pottery and porcelain, dolls, and much more. Budapest is divided into two parts by the Danube River. On the west side of the river is the hilly Buda part of the city and on the east side is the flat Pest area: put them together and you get one fantastic place to visit: Budapest! It is a large city and is divided into 23 districts. 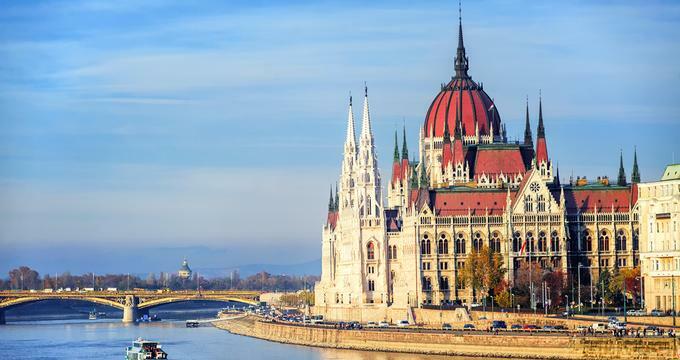 The most well known is Belvaros, or City Center in Pest: here there are hotels, restaurants, the Inner City Parish Church, many examples of fine old historic buildings, and the Erzsebet Bridge, or Elizabeth Bridge, one of several bridges across the Danube. Varhegy or Castle Hill is full of medieval architecture and home to the Royal Palace and Matthais Church. 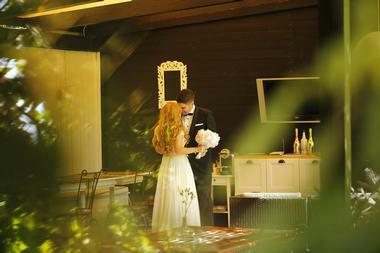 Budapest is a wonderful city and it is a great place to get married. In order to get married in Hungary either you or your future spouse must have lived in the Hungary for at least 30 days. You will need to visit the local registry office: this is Anyakonyvvezetoi in Hungarian. If you are interested in getting married in a castle, you are in luck! The Savoy Terrace within the Buda Castle is a stunning venue for a wedding. 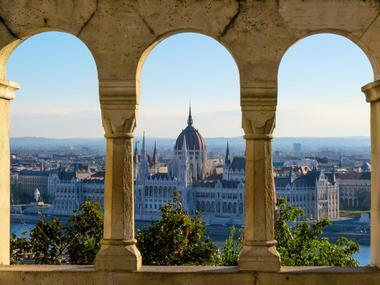 There are stunning views over the Danube towards Pest, and the Lion’s court on the Royal Palace grounds is another great venue on the hilly Buda side of the city. The Hungarian National Gallery is also a good wedding venue. 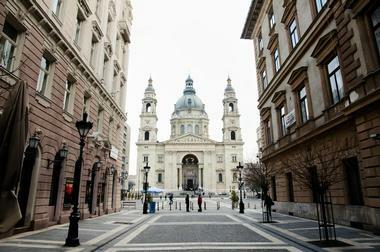 Budapest is a big city, so it offers a wide range of accommodations to suit every visitor’s needs. Although the hilly Buda side of the Budapest offers history and incredible views, keep in mind that you will need to travel from Buda to Pest to visit the attractions in Pest. Luxury hotel properties include the Four Seasons Gresham Palace Budapest, the Adina Apartment Hotel Budapest, the Boscolo Luxury Residence, the Budapest Marriott Hotel, and many others. There are a surprising number of budget accommodations in Budapest. Panzios are small pensions or guesthouses. 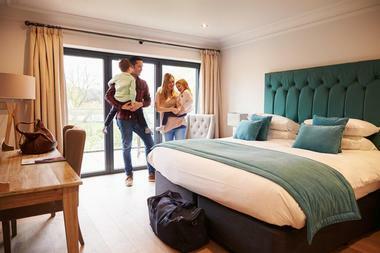 There are also self-catering apartments. 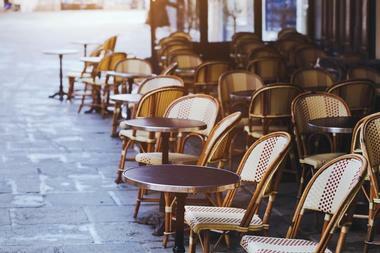 The key is to figure out the attractions you want to see: find accommodations that are nearby so that you can walk.